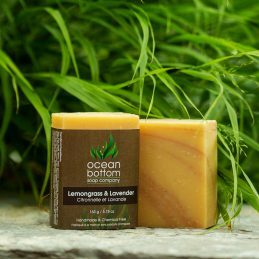 In this bar, Lemongrass and Lavender essential oil merge with French Pink Clay for the perfect pairing of citrus and tranquillity. A remarkably moisturizing bar with the added benefits of French Pink Clay, that is high in minerals. The various oils and Shea butter offer moisturizing benefits, while Pink Clay assists with the tightening and toning of your skin. Well suited for mature and/or sensitive skin. Aids in the slough of dead skin cells. Great for face and body. Notes: Proudly made in Canada, vegan product. Ingredients: Aqua (Pure Spring Water), Elaeis guineemsis (Sustainable Extra-Virgin Palm) Oil*, Cocos nucifera (Extra-Virgin Coconut) Oil*, Olea europaea (Extra-Virgin Olive) Oil*, Butyrospermum Parkii (Raw Shea) Butter*, Cymbopogn flexuosus (Lemongrass) Essential Oil*, Lavandula angustifolia (Lavender) Essential Oil* and French Pink Clay. * Indicates certified organic ingredient. All our essential oils are gently steam-distilled; any additional oil or butter is virgin & cold-pressed. 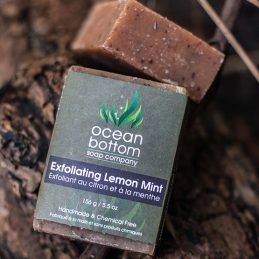 A great soap for anyone looking for incredible exfoliation! Scrub the dirt and bacteria off any part of the body with this very dense, long-lasting and exceptionally exfoliating yet moisturizing bar. Benefits: Exfoliating, antibacterial, detoxifying, long lasting, hydrating. 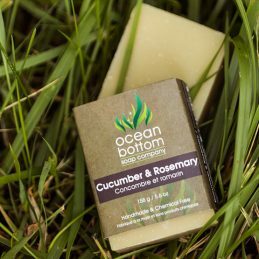 Our all natural vegetable-based soap with locally grown organic cucumber juice! Wonderfully smelling and stimulating to the skin. 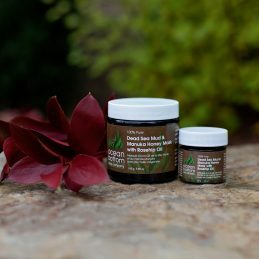 Incredibly soothing and rejuvenating with the added benefits of detoxifying Australian green clay. Benefits: Stimulating, anti aging, rejuvenates, soothes. *This soap is being discontinued - only available while supplies last* Our popular olive oil based soap. The name Castile comes from Castile, Spain which is renowned for its olive oil. 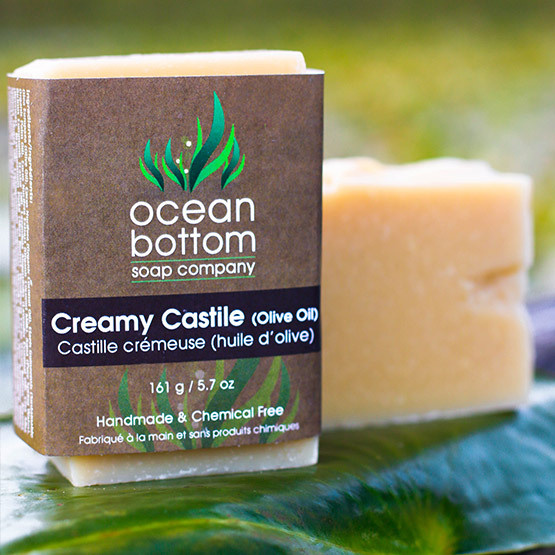 This European tradition is kept alive here at Ocean Bottom Soap Company. Benefits: Anti aging, moisturizing, antibacterial, humectant, nourishing.